Because food should fuel you to do more of what you love. When we decided to launch an athlete sponsorship program, we wanted to find individuals who would not only inspire us but relate to us, too. These athletes all have an enormous amount of heart and passion for their respective sports as well as the grains that fuel them. You can learn more about our incredible athletes below! Competing in obstacle course races used to be an unattainable dream for Billy. Born with a congenital heart defect, Billy had to sit on the sidelines for a large part of his life, not sure if sports and exercise would worsen his heart condition. It wasn't until his 30s that he decided to take a stand against his medical condition and see what type of exercise his body could manage. It turns out his heart and body could manage a lot more than he ever imagined. Billy began running and slowly got faster and stronger. He decided to push himself by signing up for a Spartan Race Sprint, which he successfully completed. 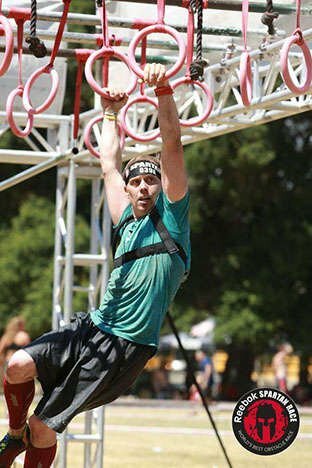 That was when he started competing in obstacle course races (OCR) throughout the West Coast. Billy extensively uses Organic Grains products such as quinoa, chia, and spelt to fuel his training. This is the thought that went through Gloria’s mind a quarter of the way through the Pinhoti 100, a 100 mile trail race through the woods of central Alabama. Gloria started trail running because she had the desire to feel strong again. She spent her entire childhood very active, but medical issues in 2015 lead her feeling weak and fragile. 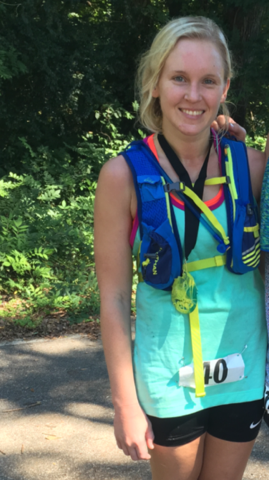 So when her sister-in-law (also an Organic Grains athlete) talked her into running the Pinhoti 100, Gloria decided this was her chance to find strength in herself again. But not even halfway through the race, she realized she had already reached her goal – through the vigorous mental and physical training that lead up to the race, she understood her self-worth again. Gloria now has her own business as a fitness and running coach and chooses Organic Grains to fuel her grains! Her diet is mildly paleo, so when it comes to grains she only makes exceptions for Organic Grains and their natural ingredients! A native Australian, Jason picked up running again while living in Chicago and raced his first triathlon in 2008. When he and his wife, Kelci, moved to Denver in 2011, Jason fell in with the right crowd, the Rocky Mountain Triathlon Club, and quickly developed into a competitive age group athlete. 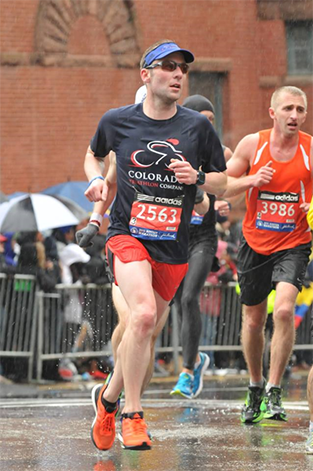 With the help of some sponsored teams and coaching from local Denver standout coach, Matt Smith, Jason qualified for the 70.3 World Championships and Boston Marathon several times between 2012 and 2016. Jason is just getting back into training and racing after taking a few seasons off to recover from his one and only Ironman. 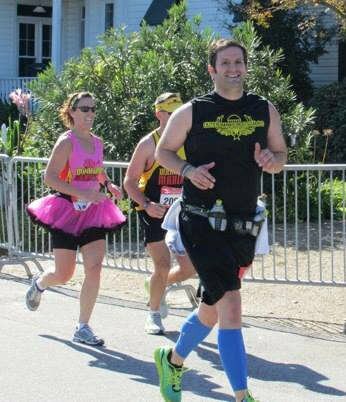 Jason is focused on getting back into racing and has set his sights on qualifying for the New York Marathon in 2018. Exercising regularly was normal for Kelly. Throughout her life she stayed fit, but it wasn't until her 20s that she began to take a serious interest in running. In the beginning, Kelly thought she hated running as a form of exercise, but when her friend invited her to run a 5k with her, Kelly soon found her new passion. She began training for races, starting with road races then eventually made her way to trail running. She remembers how impossible it seemed to complete even just a marathon, and doubted she would ever be able to train enough to get to that level. But she began listening to Trail Running podcasts and was inspired by the stories on there, and began training to compete in marathons and Ultra marathon trail races. 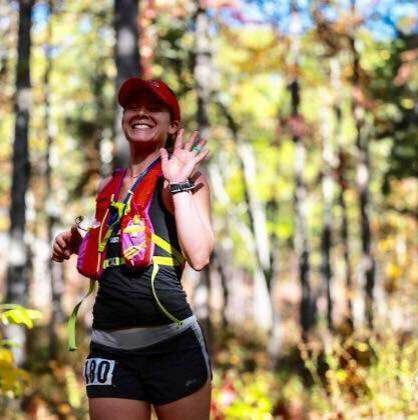 The Pinhoti 100 is a 100-mile trail race that Kelly has fixed her sights on since she began running Ultra marathons. Kelly and our other athlete ambassador, Gloria, both competed in the 2016 Pinhoti 100, but weren't able to meet their cutoff times. This year they are both training again for Pinhoti and are determined to complete the full 100 miles! Kelly trains with mainly whole grains which keep her body full of protein, fiber and other nutrients she needs to keep her energy up! In 2008 my life turned upside down, and it has changed how I look at life forever. On January 11th my younger brother died unexpectedly. It was the worst and best thing that could have ever happened to me personally. At that time, I was extremely overweight. I was considered morbidly obese. I weighed 286 pounds and all of 6 foot nothing. I ate everything and anything. By the summer of 2011 I had no idea what to do anymore. sounded interesting. The first session I quit eating anything white: potatoes, bread, rice, etc. The next session I quit sugar, and added whole grains. Within the 3rd session, 18 weeks, I ran my first 5k. As much as I hated working out and getting up early, I was hooked. 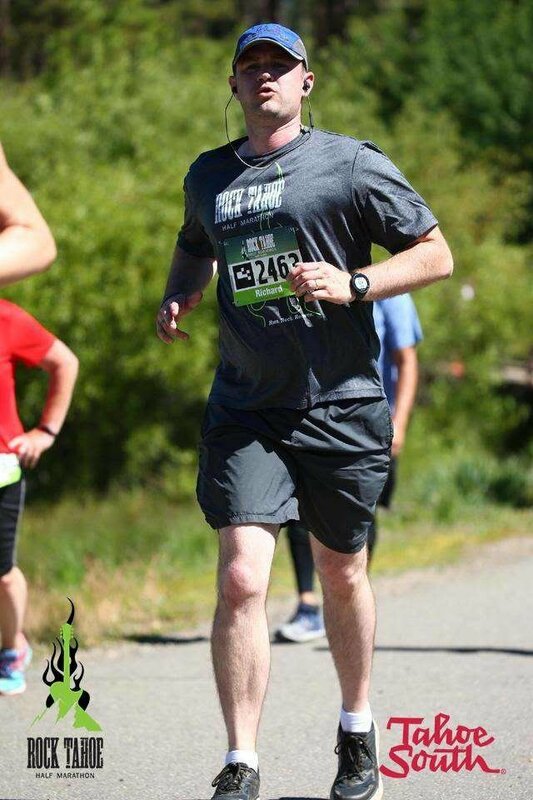 Six months into the program I was down 56 pounds and ran my first of many half marathons. I ran the NYC Marathon in 2014 for charity, and in total I have run more than 250 miles! I got down to 196 pounds. I have gained some of the weight back, but by starting to eat whole grains again, along with more fruits and vegetables, I am back on track. Now, I have signed up for the Walt Disney World Goofy Challenge. This challenge is the half marathon on Saturday January 6th, and then the full marathon January 7th. I have started training, and I am again down by more than 20 pounds just by cutting out junk and adding in whole grains. Roughly 10 years after I graduated high School I decided I wanted to get back into shape. During those past 10 year I had been very busy and did not have time for myself. I somehow thought I would just take off down the street and the extra pounds and years of sedentary living would just fall off of me as I made my maiden run around the neighborhood. Well I only made it about 200 yards before I was grasping for breath and wondering why my legs weren't working. The realization that I had to change my physical health was life changing for me. I joined a running club and started going to the gym. Over the next few years I took it slow, but I changed my diet and stopped eating fast food everyday for lunch. I did what I could with what I had. Eventually I ran my first 5K race. I couldn't believe I signed up for a race! I always hated running, ever since I was a kid, but it became exhilarating for me to. I started on a mission to see what my body can accomplish, and I feel that I have yet to fully discover. I started by running just one race a year, then it became two races a year. Slowly I added more and more events to my calendar. In 2017, roughly 10 years after I began my journey, I have two marathons, three half marathons, two 10k races, and one 5k race to complete. I know that this is only possible as a result of healthy eating, and regular exercise. I am still busy. I still have five kids. I still own my own business. The difference now however is that I know that I can do all that I do AND be healthy. Interested in becoming an Organic Grains Athlete? Let's talk about our ambassador program!